All the new MacBook Pros reviewed - which is best for you? 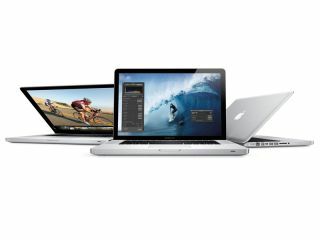 The 2011 Apple MacBook Pro is bursting with new features such as Sandy Bridge second-generation Core processors and Intel's new super-fast Thunderbolt connection. But with three models to choose from, you might be struggling to decide which is the best MacBook Pro for you. So here's a Apple MacBook Pro review roundup for the new 13-inch, 15-inch and 17-inch models to help you decide. But if you decide you don't fancy a MacBook Pro, check out our 20 best laptops in the world piece. Or If you'd like a Mac but want something smaller and lighter, check out our MacBook Air review. In the new MacBook Pro 2011, the 13-inch version has gone straight from the bottom of the class to the top when it comes to power. Apple's claiming as much as double the speed in some tasks from these new CPUs, thanks not only to technologies such as Hyper-Threading and Turbo Boost, but also the new single-chip design in the Sandy Bridge architecture. The power of this machine will just leave you gaping. While at 2kg it weighs more than many other ultra-portables, few 13-inch laptops can boast desktop-class CPU power. This doesn't just come through in pro applications – it's an incredibly snappy and responsive machine to use for general browsing and casual use. Programs open quickly and there's no waiting when multitasking. Intel and Apple are on to a winner in this 'small notebook, massive power' form factor. If additional graphics power isn't important to you, then you can add another half a star onto the four we gave the machine in our 13-inch MacBook Pro review. The speed and capability on offer are just superb. Though there certainly are reasons why some potential buyers will be turned off (not high-res enough screen, no Blu-ray, no discrete graphics), this is an undeniably excellent machine. If you want serious computing ability in a small package, look no further. With the latest processors, new graphics, a cutting-edge high-speed I/O port, an upgraded built-in webcam and a more capable SD card reader, this model is considerably more capable than the equivalent model from the mid-2010 upgrade - as we saw in our 15-inch MacBook Pro review. Hyper-Threading, a feature of all new MacBook Pros, enables two threads to run simultaneously on each of the processor's cores. So the quad-core processor in the 15 and 17-inch models effectively have eight virtual cores, enabling more efficient multitasking. Coming in at under £2,000, the new 15-inch quad core Intel Core i7 MacBook Pro is cheaper than the 17-inch, though still pricey. Given the quality and improvements over the previous model, this is good value for money. It's the most capable Apple MacBook Pro to date, and a real joy to use. A step up from the previous generation of Apple MacBook Pros, where the 17-inch model matched the middle of three 15-inch notebooks, this top-of-the-range model has near-identical specs to the more expensive of the two 15-inch models. Both offer a quad-core 2.2GHz Core i7 processor, 4GB of 1,333MHz RAM, an AMD Radeon HD 6750M discrete graphics processor with 1GB of GDDR5 memory, a 750GB, 5,400rpm and SATA hard drive. Though the built-in battery in the 17-inch model is a 95 watt-hour spec, actual battery life is seven hours when browsing the web, the same as the 13-inch and 15-inch versions. Unlike the rest of the MacBook Pro range, the 17-inch MacBook Pro doesn't have an SDXC card reader. It has an ExpressCard/34 slot instead, so a card reader can be fitted instead if needed. At almost £2,100 it's a lot of money, regardless of its undoubted quality and performance.